Continuing the theme of cars that are mainstream in their home country, but oddballs in North America, is the Opel Manta. Just like the Chevrolet Camaro and Pontiac Firebird, it’s a pretty good popular sports car that has suffered from its associations with mullets, wrap-around sunglasses, bleached denim, big hair, and cheap beer. But if you look past all the cultural baggage, they’re really pretty good sports cars with strong aftermarket support. So in the case of the Manta, you can rely on some local parts sources for the basics, and if you want performance parts, those are readily available from Germany (sorry Greece, but yay weak Euro!). 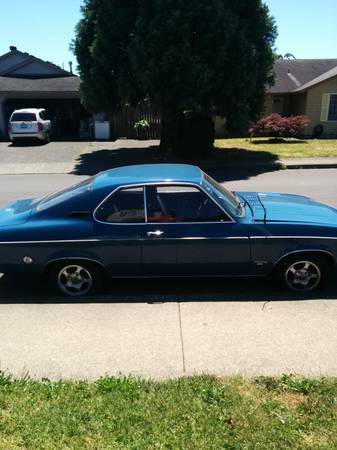 Check out this 1974 Opel Manta for sale for $1500 in Vancouver, WA. This blue is a nice color, and it’s a relief to see this is a manual transmission car. Unfortunately, it’s got some cheap-looking aftermarket wheels that belong on a 1980s econo-appliance, but that’s easily resolved with some ATS 5-stars, Cosmics, or Minilite replicas of some sort. The car is said to have been running and driving when purchased by the seller, but now no longer has fuel at the carburetor. The seller does not speculate as to why, but if you’re lucky, it’s something as simple as a weak/failing fuel pump. Determining the seller’s level of mechanical capability would be a good first step towards finding out what you’re in for. 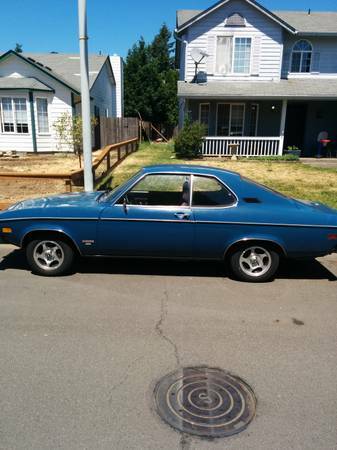 Accepting the limitations of these small pictures, the car does look like a decent original-condition example. Those bumpers don’t do the design any favors, but bumpers seem to be readily available in Germany, with a usable set priced around €110. You’ll definitely want to look more closely at the rockers and floors at this price level – if they’re good, fixing the fuel system is far cheaper than restoring a body. The seller is looking to sell quickly, but it’s been up for 26 days, so either there’s a slow local market for Mantas or the problems are bigger than they seem. Unfortunately, pictures seem to have been taken at midday, so shadows hide quite a few details, including most of the dash. What is visible looks intact and in good shape, though the crack-free dash might actually be a cap. The seats look to be wearing covers, but nobody expects vinyl to last 41 years at this point. 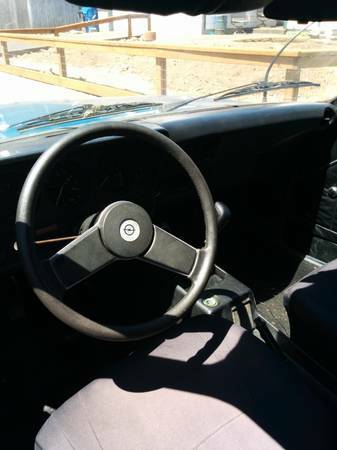 The shift knob looks awfully high relative to the steering wheel, but that might be the angle of the photo. Things look really tidy under the hood – has it had any major engine work recently, or just a cosmetic refresh? At least you’re not likely to get your fingers dirty figuring out what’s wrong! The 1.9-liter engine was good for about 100hp, so performance should be about on par with a BMW 2002 or Datsun 510, but with that classic GM coke bottle styling. 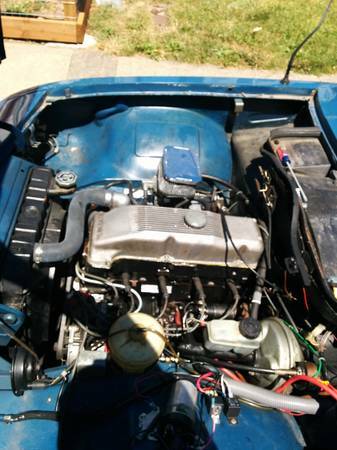 This sounds like the basis for a good low-budget weekend backroads car – proven, simple power train, ready parts availability, and decent interior space. What are you waiting for? This entry was posted on July 3, 2015 at 10:15 am and is filed under Feature. You can follow any responses to this entry through the RSS 2.0 feed. You can leave a response, or trackback from your own site. What bumpers? From all indications there is only the front bumper in place. Another seller that cannot be bothered with taking a photo of the complete car.